Spring time is Rabbit time. 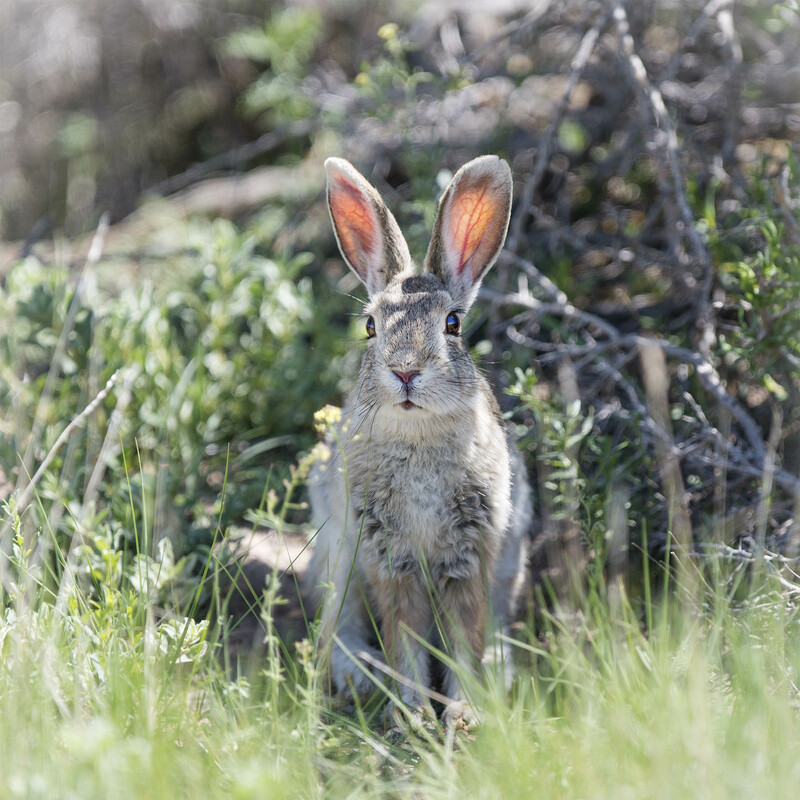 Last weekend we saw plenty of healthy rabbits roaming the sagebrush and grasslands of the Arapahoe Wildlife Refuge as well as plenty of Hawks looking for an easy meal. Luckily for this guy he stayed on guard and was reluctant to stray too far from the cover of the sage. Watch out for Elmer Fudd sweet bunny! I think he is safe at least until hunting season begins. That face, those ears😊. Wonderful photo! Hi Belinda and thanks. That rabbit was a wonderful model and knew just where to sit an dhow to pose to let us get a great photo. Hope your spring is treating you well and wishing you a fine weekend. Thank you Mike, to you as well. Beautiful pic, Mike. Love the backlit ears! oh bless, what a beauty..I love them and they are always welcome in and around my place.